So you want to host a memorable event in Dorset but don’t know where to start? Our “Ultimate Event Cheat Sheet” will guide you through the process with ease, giving you helpful hints and resources too. Of course if you need any further help putting on your event, get in touch with our friendly team – we’re here to help! 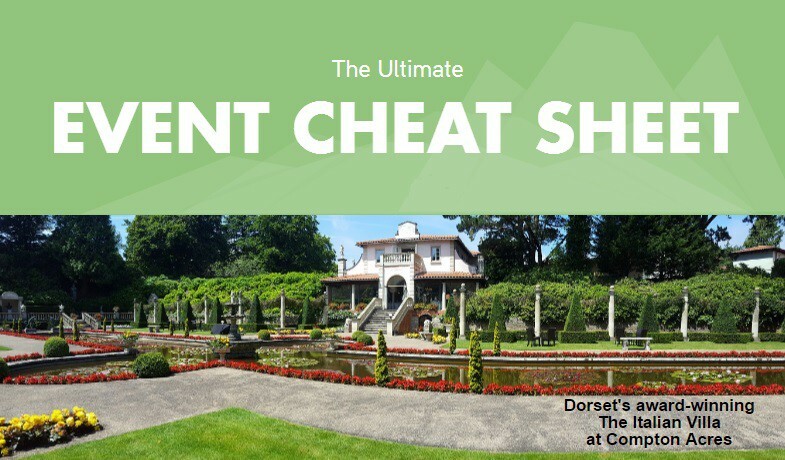 Download The Ultimate Event Cheat Sheet here!